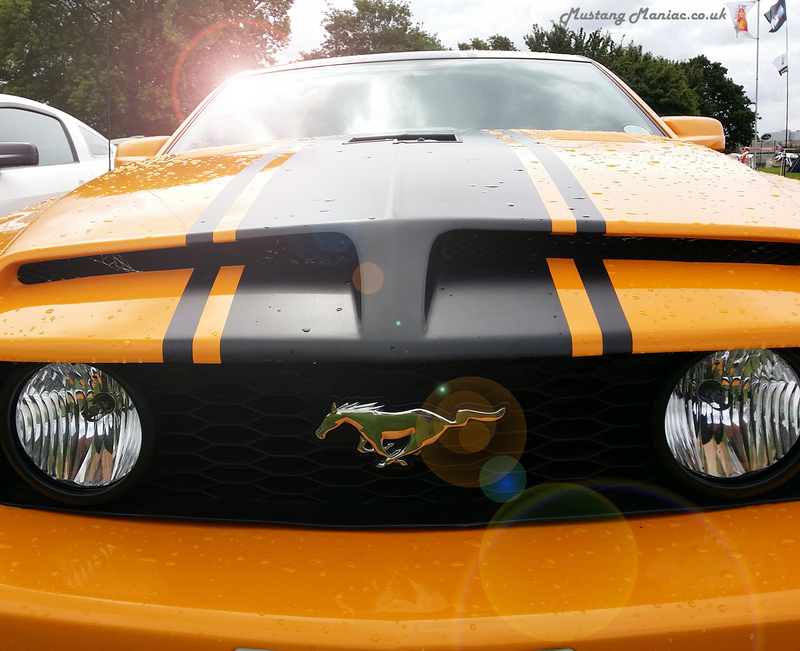 We see many cars at Mustang Maniac that have been turned into “Street Racers” or “Drag Strip Racers” very effectively, but not many have been turned back into the road cars they once were. We have such a car with those very intentions to be a road car again now for a little while. We can now start to bring you regular updates on that process as it goes along. The process has been a long one so far as the car had to be stripped back to metal in order to see what is there, or not there in the case of some metal parts, and then repair her. We came up with a name for her, not very original we admit, but it suits her; Blue Race Coupe or the “BRC” which sounds much better. There are some dead give aways this was a race car, the biggest hint was the “Spool” diff. In other words the diff was “welded up” so that each wheel will turn at the same time irrespective of the tyre load and power transfer. Great on a track for lots of traction, but on the road the tyres will squeal and drag round corners and makes the car feel a handful should we say. The other little sign is the additional cooling at the front of the main cooling radiator. We are pretty sure this lady has had a hard life in the past and has been attacked in a big way by the dreaded rust worm. Nowhere near as bad as bad as some we restorations that we have sorted out in the past. So with the engine and gearbox out we had a look around her to see initially what was going to be needed to fix her back up again. The inner battery apron and chassis legs were by far the worst sections and would need some serious work. The original C4 gearbox had been replaced a C6 manual with the floor pan pretty much cut open and welded back up around it, in order to make it fit. Inside the floor pans were patches on patches and much of the structural fabrication was rotten through, so with that and the damage to the tunnel section considered, it was decided to take the floor out and replace it for a new one. This is usually much more cost-effective and it’s all fresh metal too. In addition we can then see exactly what we were dealing with for structural integrity. The trunk section was also in a bad way along with the drop offs and inner wheel arches, but we believe we can save much of the outer quarters. So after the initial inspection by Adam and Yogi, it was time to start work on her, starting at the front. The inner apron on the right was cut away and exposed damaged chassis legs. Sheared bolts for the bumper irons brackets would need to be cut out and re-fabricated. New metal welded into place and ground down for the chassis legs, the insides were treated with red oxide to prevent rusting from the inside out. The new inner apron was fitted and also treated in red oxide paint. In fact all the new metal or welded parts were covered with red oxide. Next week the BRC will get a new floor pan, what will we find under her then? 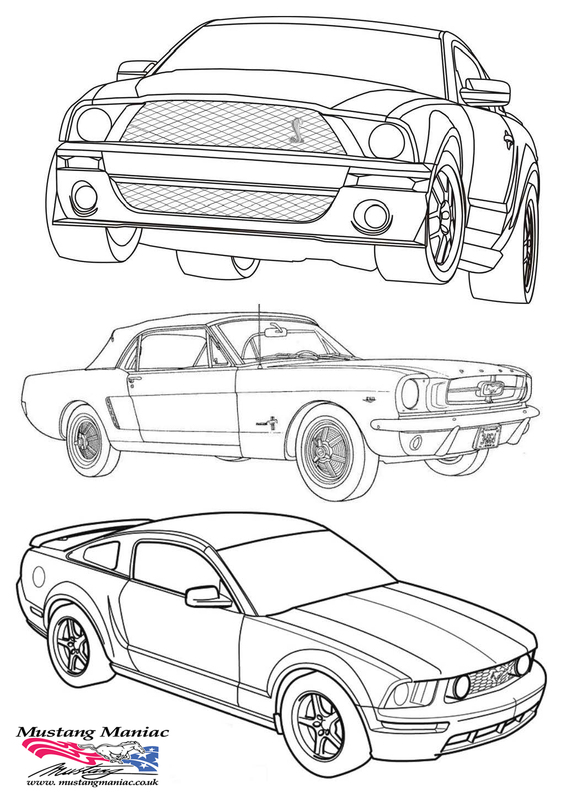 At last years SEMA show Adam found more exclusive parts for Mustang Maniac to stock the WebShop up with. One of those was a prototype steering wheel he liked the look of. Well, that order has been partly filled with the first of the production line with 13.75″ diameter and finished in billet with a leather grip. The mounting boss is also made especially for this wheel. As with all our new stock we will trial these on a car and make sure it lives up to our highest standards. So we had a volunteer who agreed to trial it for us, he didn’t need much encouragement by the way! 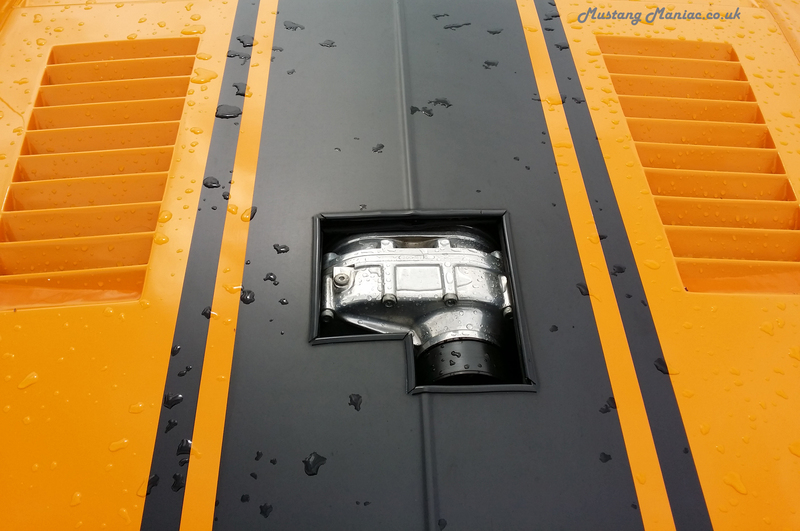 So here it is fitted to the first gen Mustang, the first in the country. 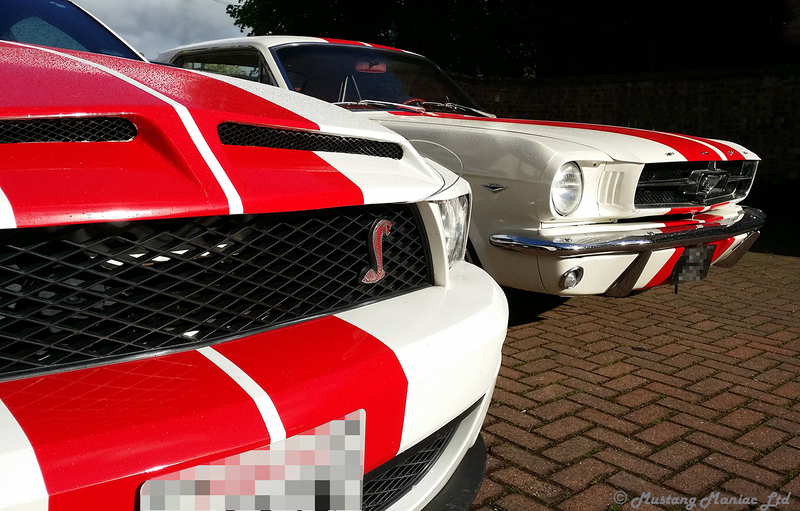 From the WebShop a new pic for the Mustang Maniac “Core” left to right; Adam, Morgan and Yogi (Allan) as he is sometimes referred to. 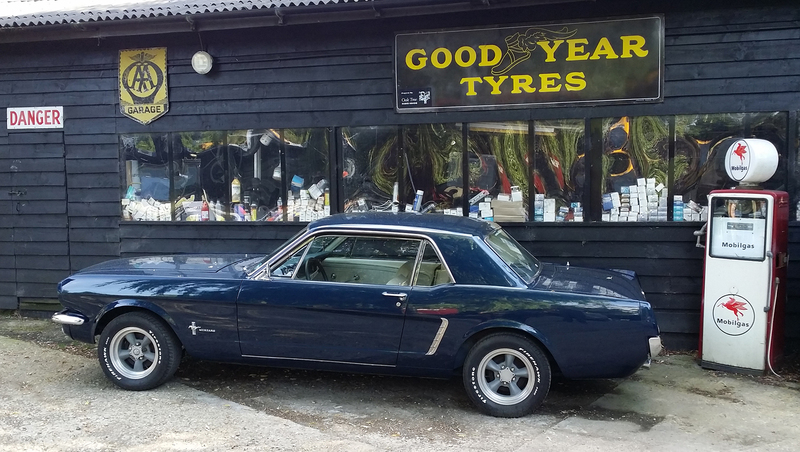 This entry was posted in Customers' Cars, news, parts, restoration, Webshop and tagged Blue Race Coupe, BRC, C4 gearbox, leather, Mustang, Mustang Maniac, race car, rust, SEMA, WebShop. Bookmark the permalink. Great looking steering wheel. 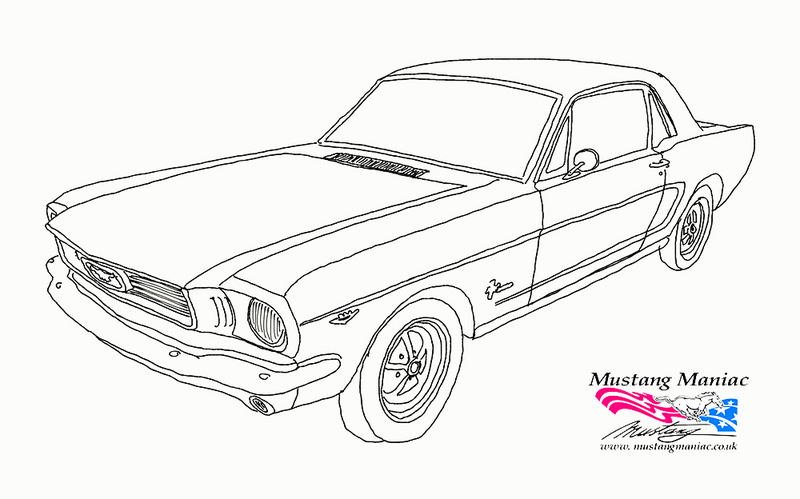 Another Mustang soon back on the Road. Loving the work. Thanks, The wheels will be a special order item unless we get lots of requests for them. The BRC is going to be a nice car once she is done. I am not mechanically inclined but your blog is always interesting and useful because I learn a lot about what goes on under the hood and to the frame. Thank you very much. We try to make our little ol’ blog as diverse and interesting as possible. 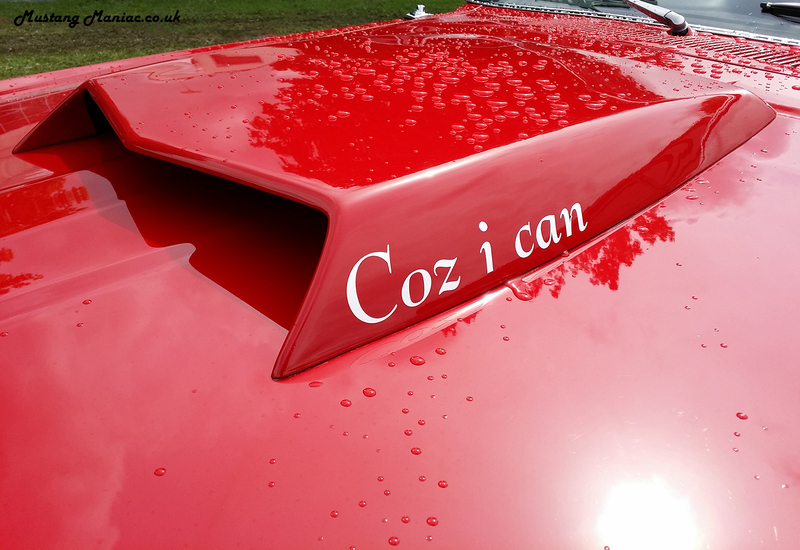 We enjoy what we do because we care for these classic cars, with that in mind we like to showcase our work which we are proud to show. More importantly our loyal customers actually get to see exactly what goes on with their cars and hopefully they can see the pride in our workmanship too. Great blog as usual. It’s good to see mention of the team and specially Morgan – who is an ‘unsung hero’. She works hard, knows far more about old Mustangs than any other young woman and has learned much from ‘the master’ which she passes on happily. It’s nice to see the face behind the smooth operation of the parts department from parts picking, ordering and the whole mail order process. We often moan when stuff goes wrong but rarely do we chirp up and say ‘great, thanks!’ when things go right…which they do most of the time. Keep up the good work Morgan!! I must agree with Gary here, well done to Morgan, and what a way to learn from the “the master” himself Adam. I believe the saying is that “he has forgotten more than most people will ever know”. Thanks Gary, you are so right there. Morgan has a key roll in dealing with the WebShop, customers, visitors, parts, deliveries and all the other things she does that we don’t know about because it runs smoothly. There is also VERY talented support team too that are the unsung heroes of Mustang Maniac behind the scenes that should get a little mention here too; John, Jason, Gary, Paul, Lance, Chris, Martin and not forgetting our all important suppliers etc. 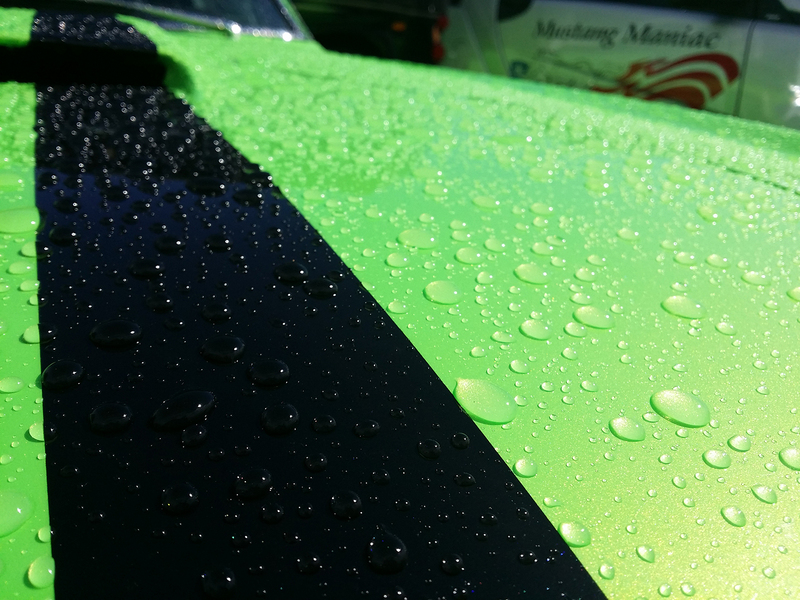 All of these guys do their own things to keep Mustang Maniac at the very, top of their game. Perhaps we can get a full team photo one day! The Mustang Maniac team rocks! Wow, the build looks good, lots of fixing, you guys seem right at home with that. I love the steering wheel, wish I had a Mustang to put it in, now. Thanks, the build will be a nice car when she is done. Its a real nice wheel and great quality as it compares to some other wheels we have seen.